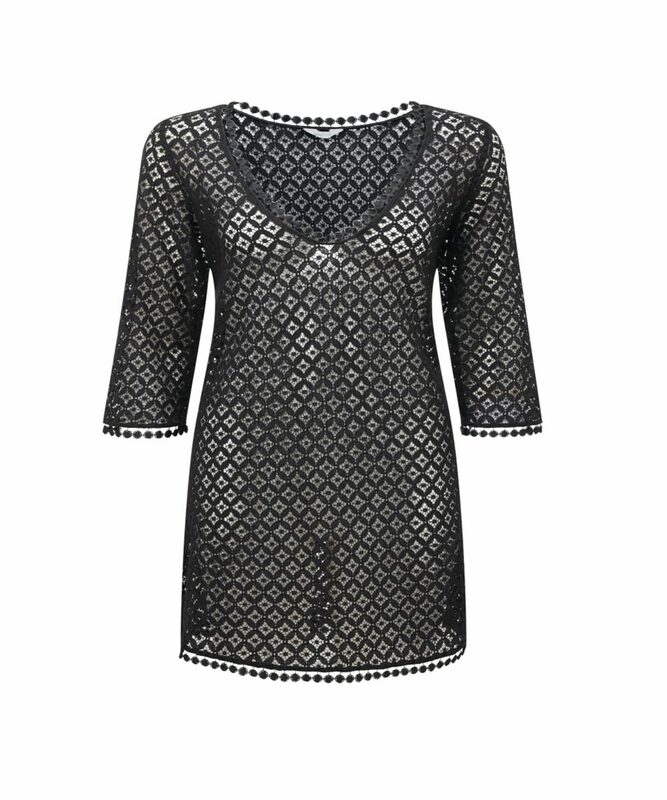 147585- The Summer Days black kaftan from Lepel. With elbow length sleeves and a modest v-neck. From Lepel’s Summer Days range this cool black kaftan is the perfect match for any swimwear. This crochet style kaftan features elbow length sleeves. Therefore offering more coverage for the less confident lady. Team with black swimwear for understated class. Or with something bright and funky for a youthful look.